Hitec Teases New Battery Chargers « Big Squid RC – RC Car and Truck News, Reviews, Videos, and More! The good folks at Hitec Multiplex Japan are now teasing three new chargers, one of which comes with Wireless Cell Phone Charging. 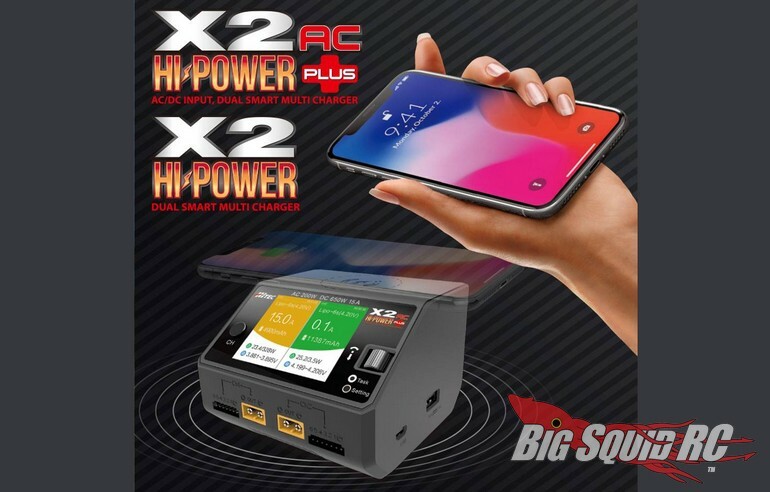 That’s right, the new X2 Hi-Power AC Plus is a dual bank battery charger that can also do wireless cell phone charging, plus it packs a punch with a maximum charge rate of 15 amps. 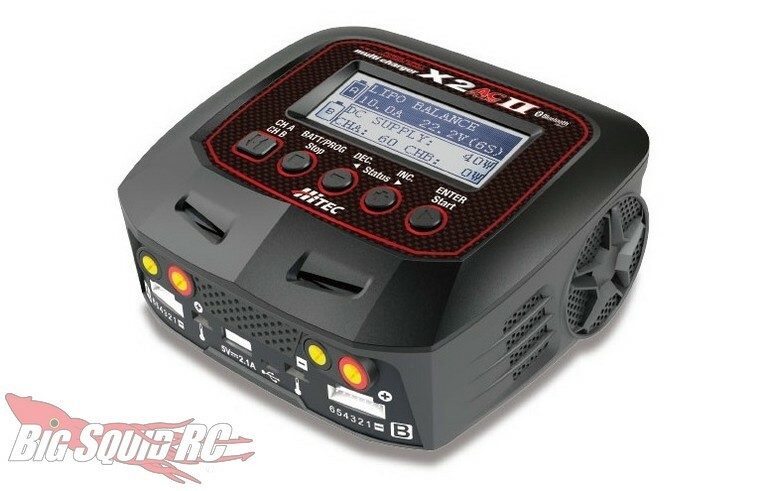 Also being teased by Hitec Japan is the X2 AC Plus II. The Plus II version chargers at up to 10 amps and uses Bluetooth so you can control the unit from your smart phone. Also, it comes with a very trick looking all-black case. We do not know if these units will be coming to America, but they do show how technology keeps racing forward in the battery charger market. To check out more cool products from Hitec, simply Click This Link.